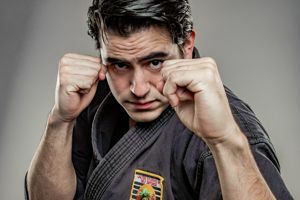 Sensei Brent started studying martial arts with the United Studios of Self Defense at the tender age of seven and has continued his training for over 20 years. He presently holds the rank of 5th degree Black Belt in Shaolin Kenpo. He is uniquely skilled in several areas of the martial arts including Shaloin Kung Fu, Muai Thai kickboxing, American boxing, judo, wrestling and Brazilian jiu Jitsu. He has also specialized in both Japanese and Chinese weaponry; weapons range from spears, swords, nun chucks, bo staff and the three sectional staff among others. Sensei Brent graduated with a BS from the University of Southern California’s USC Marshall School of Business. After working for a few years in the business industry, he again returned to his major passion; namely, the martial arts. He has now shared this love of teaching for the past ten years. His enthusiasm for the art can be seen in each and every class he teaches; he teaches full-time, six days a week and welcomes students of all ages. Sensei Tomas first developed an interest and passion in the martial arts as a child while watching movies where the stars would display their incredible talents across the silver screen. Later when he witnessed a martial arts tournament held by the USSD, he was hooked. He soon got involved with the instructors academy and further developed his love for learning, teaching and performing the wonderful art of Shaolin Kempo. Thank you! An instructor will be in touch soon to tell you all about Torrance Karate. Esai Saucedo first started his martial arts training at a local YMCA in his teens. There he learned boxing and later, his friend and now current Sensei, Tomas Orozco, would instruct him in ways of the Asian Martial art of Shaolin Kempo. Not too long after, Esai enrolled into the United Studios of Self Defense in Torrance and was selected to test and become a Red Belt for the dojo. Esai has almost ten years of experience teaching music privately and in group class settings. With this background he has uniquely incorporated the lessons and discipline that come from studying a musical instrument to his martial arts instruction. 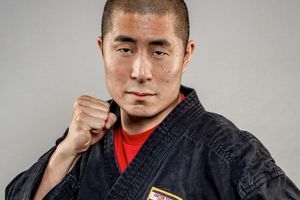 Under the tutelage of Master Brent Murakami and Sensei Orozco he is currently developing his skills as a competitor and teacher of the martial arts. Thank you! Esai will be in touch soon to tell you all about Torrance Karate. Ms. Patty has been with USSD Torrance for three years now as an instructor and student. Before her martial arts training, Ms. Patty worked in LA Unified School District for two years as an assistant secretary. She also assisted many pre k and kindergarten classes at Head Start. "As a kid, I was always running around pretending I was Bruce Lee. Unlike my childhood fantasy, I'm far from Bruce Lee but I have the same love and passion for the martial arts he did. I'm very thankful that I can be here teaching, learning, and growing." Mr. Hoxie has been a student at Torrance Karate ever since 2008. He came in to try a free self-defense safety seminar and enjoyed it so much that he enrolled as a full time student. Mr. Hoxie earned his 1st degree black belt in 2014 and has become an integral part of our kids and young adult classes. Mr. Malaga has been training and teaching at Torrance Karate for many years. In Addition to his training, Mr. Malaga has been dedicating his time to teach kids and young adults on Mondays and Tuesdays. When he is not at the martial arts studio, he owns and runs a photo booth and photography company.